A study by the Friedman School of Nutrition Science and Policy at Tufts University said labeling has an effect on consumer eating behavior — just not in every category. The study was based on an analysis of 60 interventional studies from between 1990 and 2014, with two million unique observations that reported dietary intakes, purchases and sales receipts. According to researchers, food labels reduce consumer intake of calories by 6.6%, fat by 10.6% and other unhealthy food options by 13%. Labels also increase vegetable consumption by 13.5%. 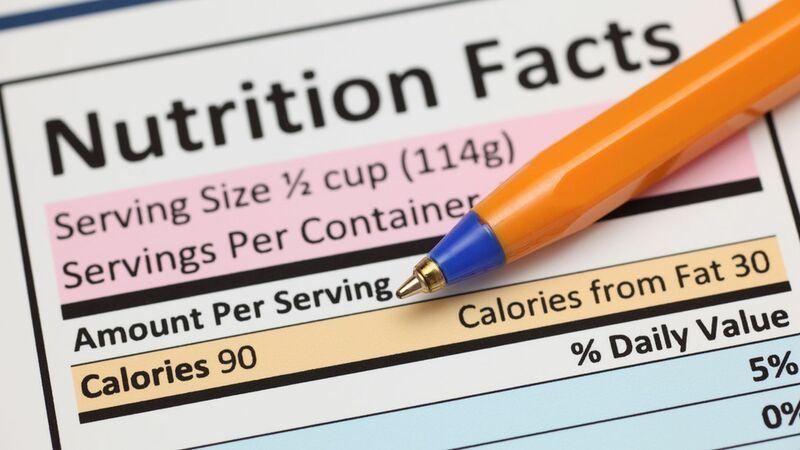 The study found labels affect consumer intake of nutrients indirectly as labeling policies have led food and beverage manufacturers to reformulate their ingredients. These changes have reduced trans-fat content by 64.3% and sodium content by 8.9%. As more consumers demand healthier products and cleaner supply chains, the proliferation of labeling has reached nearly every product in the supermarket. The information loaded on labels has extended beyond nutrition facts. A growing number of seals and symbols are cropping up on U.S. foods and beverages that tout if an item is organic, gluten-free, vegan, non-GMO, non-allergenic, produced under humane or fair labor conditions and whether the packaging is compostable or recyclable, among other descriptions. But the industry does have good reason for this explosion in labeling. In addition to this new study from Tufts, a report from Label Insight and the Food Marketing Institute revealed that 75% of shoppers will switch to a brand that provides more in-depth product information. When shoppers were asked the same question in 2016, just 39% agreed they would switch brands. A 2015 study from MarketsandMarkets estimated the food traceability market will be worth $14 billion this year. While consumers are demanding that labels provide insight into nearly every aspect of a company, many shoppers may not actually take the time to read them. According to QuadPackaging and Package Insight, 40% of shoppers claimed that sustainability influenced their purchases, but 92% didn't notice sustainability logos on food packaging. Similarly, the Tufts study showed only certain label claims, mostly nutrition and health-related ones, elicited responses from consumers. But the Tufts study also noted the presence or absence of information may be more relevant to consumers than the specific type of label. CPG companies might want to think twice before removing any labels from their packaging. To bolster the effect of labeling, food and beverage manufacturers could consider an integrated marketing approach where they utilize retail store and social media channels so that more consumers are likely to see those transparency and sustainability claims. Still, CPG companies shouldn't get carried away with labeling. Consumers can become numb to labels and are likely to only be interested in claims that resonate with their beliefs and concerns. Additionally, there are some clear claims that are unnecessary — gluten-free labels on eggs — that will only serve to crowd an already loaded package. As for nutritional labels, the Tufts study found labeling did not significantly impact an individual's intake of carbohydrates, protein, saturated fat, fruits or whole grains. Coupled with the fact that labeling did reduce consumer intake of total calories and fat — two major indicators of the overall health of a product — it should alert CPGs to the fact that perhaps consumers don’t care so much about how they ingest fewer fat and calories, but just that they do. FoodNavigator Study: What kind of impact does food labeling have on consumption?